For most of us, when we think of Sherlock Holmes and London, our first thought, of course, is of Baker Street, and then, perhaps, of Westminster, the Strand, Bart’s Hospital. All north of the river. We tend to forget transpontine London, what Holmes once called “the Surrey side”, but these southern areas provide many essential chapters in the life and career of the great detective. 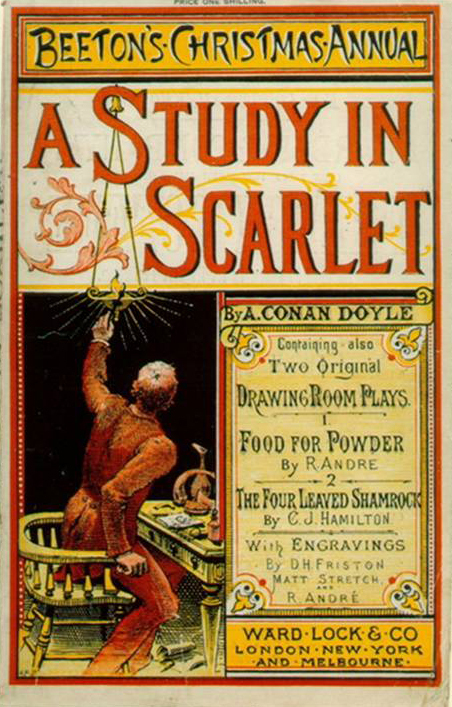 Arthur Conan Doyle, as every schoolboy knows, was born in Edinburgh, went to school at Stonyhurst in Lancashire, and took his medical degree at Edinburgh University. He occasionally visited relations in London, but he didn’t move here until 1891, when he took rooms near the British Museum. 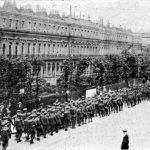 Within months he had given up medicine for literature and bought a house in Tennison Road, South Norwood, where he and his family lived for the next six years. Unfortunately for our purposes, Tennison Road is not in Lambeth, however we define Lambeth. And how do we define it? For most of Holmes’s career the name would have implied the area around the Archbishop’s palace – what you might call the real, original Lambeth – or the remarkably long, thin district administered by the parish vestry. In 1900 the Metropolitan Boroughs were created, and they served satisfactorily until they were replaced in 1965 by the London Boroughs. 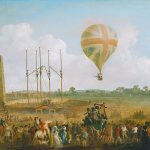 Well, that’s what we have now, for better or worse, so our boundaries will be those of the London Borough of Lambeth – but we shall venture now and then into foreign territory. If we had to go to Camberwell, for instance, we should be unlikely to make a point of staying on one side or the other of the border between Lambeth and Southwark, even if we could be absolutely certain where that border was. “There has been a bad business during the night at 3, Lauriston Gardens, off the Brixton Road. Our man on the beat saw a light there about two in the morning, and as the house was an empty one, suspected that something was amiss. He found the door open, and in the front room, which is bare of furniture, discovered the body of a gentleman, well dressed, and having cards in his pocket bearing the name of ‘Enoch J. Drebber, Cleveland, Ohio, U.S.A.’ There had been no robbery, nor is there any evidence as to how the man met his death. There are marks of blood in the room, but there is no wound upon his person. We are at a loss as to how he came into the empty house; indeed, the whole affair is a puzzler. If you can come round to the house any time before twelve, you will find me there. I have left everything in statu quo until I hear from you. If you are unable to come, I shall give you fuller details, and would esteem it a great kindness if you would favour me with your opinions. Holmes says, “We may as well go and have a look. Come on!” And a minute later, Watson tells us, “we were both in a hansom, driving furiously for the Brixton Road”. Number 3, Lauriston Gardens [he tells us] wore an ill-omened and minatory look. It was one of four which stood back some little way from the street, two being occupied and two empty. The latter looked out with three tiers of vacant melancholy windows, which were blank and dreary, save that here and there a “To Let” card had developed like a cataract upon the bleared panes. A small garden sprinkled over with a scattered eruption of sickly plants separated each of these houses from the street, and was traversed by a narrow pathway, yellowish in colour, and consisting apparently of a mixture of clay and of gravel. The whole place was very sloppy from the rain which had fallen through the night. The garden was bounded by a three-foot brick wall with a fringe of wood rails upon the top, and against this wall was leaning a stalwart police constable, surrounded by a small knot of loafers. 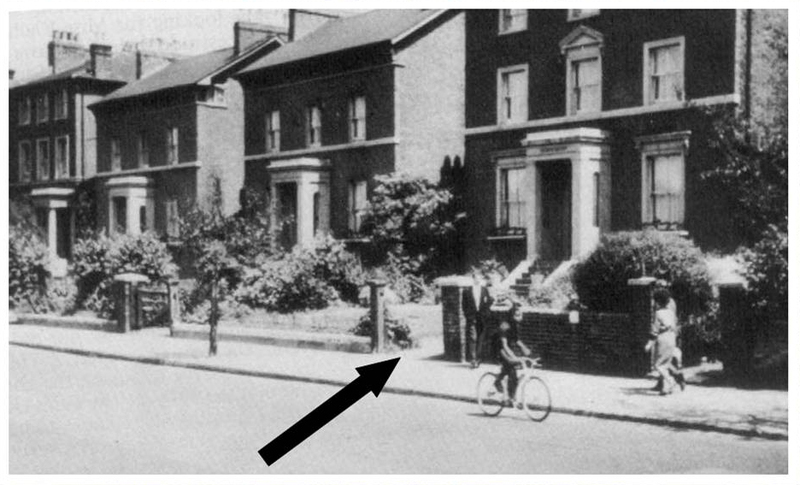 Gregson’s letter refers to “3, Lauriston Gardens, off the Brixton Road”, which suggests that the house was in a side street, but it soon becomes clear that the street outside the house was Brixton Road itself. What Gregson meant, it seems, is what Watson noticed – that the house “stood back some little way from the street”. 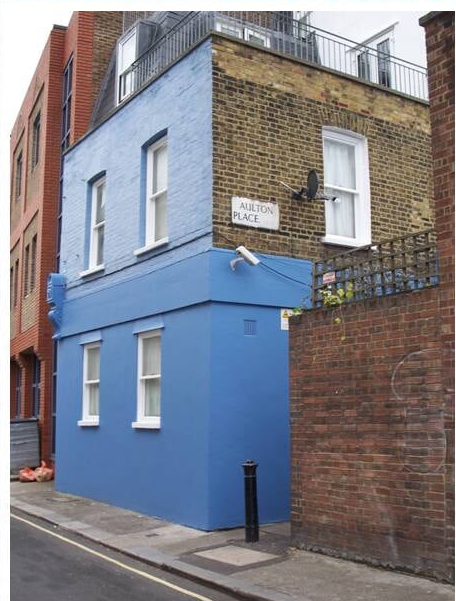 For reasons perfectly sound but too complex to go into here, Bernard identified a row of four houses about a quarter of a mile north of Brixton Police Station. The third from the left, no. 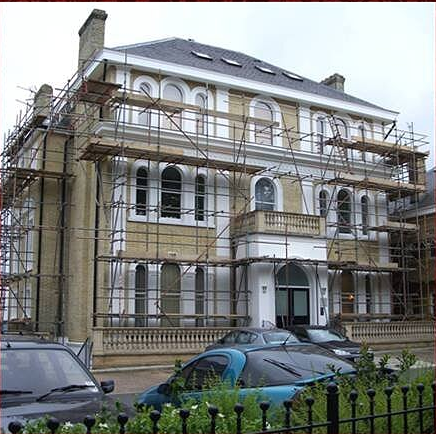 333 Brixton Road, was a very close match for no. 3 Lauriston Gardens. There is a real Lauriston Gardens, incidentally – not in London, but in Edinburgh, not far from the Medical School of the University where Arthur Conan Doyle trained. Those four houses in the Brixton Road are no longer there. They were demolished about thirty-five years ago to make way for a rather pleasant recreation ground, originally called Angell Park, and since renamed after the jazz drummer Max Roach. The post office itself is long gone, but the royal arms can still be seen above the door. Next they took a cab up to Kennington, to meet PC Rance, the man who had found the body. 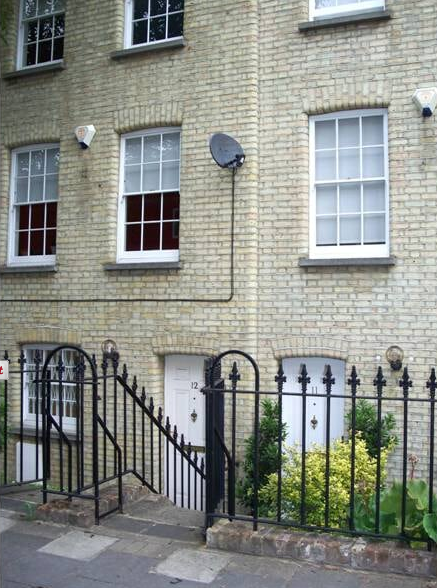 His address was “46 Audley Court, Kennington Park Gate”. Our cab had been threading its way through a long succession of dingy streets and dreary byways. In the dingiest and dreariest of them our driver suddenly came to a stand. “That’s Audley Court in there,” he said, pointing to a narrow slit in the line of dead-coloured brick. “You’ll find me here when you come back.” Audley Court was not an attractive locality. The narrow passage led us into a quadrangle paved with flags and lined by sordid dwellings. Its real name was Grove Place, entered from Milverton Street by way of that narrow slit. At the other end was an alley called Aulton Passage, leading to Kennington Place – and the name “Aulton Passage” isn’t too far from Watson’s “Audley Court”. 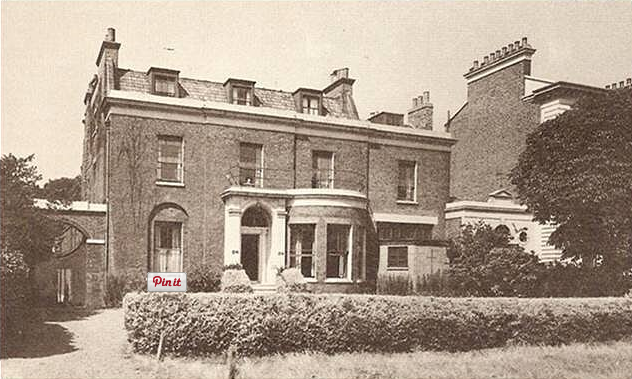 In 1893 the whole of Grove Place and Aulton Passage was renamed Aulton Place. The fact that the “narrow slit” leads in from Milverton Street is further evidence that this is the right place. Nearly 20 years later Conan Doyle used the unusual name Milverton for a memorable character, the king of all the blackmailers, in a Sherlock Holmes story called “The Adventure of Charles Augustus Milverton”. 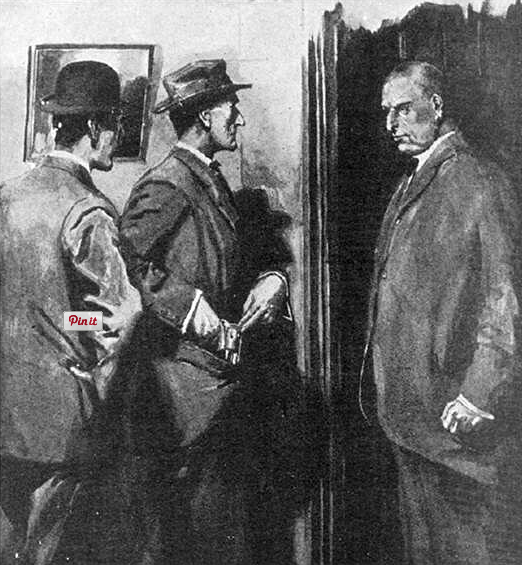 Towards the end of the investigation, Gregson visits Holmes and Watson in Baker Street. He has found out where the dead man had been lodging – Charpentier’s Boarding Establishment, Torquay Terrace – and has arrested the landlady’s son for the murder. Gregson doesn’t tell us where Torquay Terrace is. We find that out later, when the real killer tells his story. It’s in Camberwell. We mentioned Camberwell earlier. 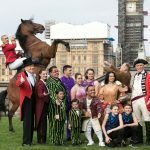 The way in which settlements have been divided among the administrative authorities, on apparently arbitrary principles, is one of the most confusing features of Greater London. Camberwell is a good example. 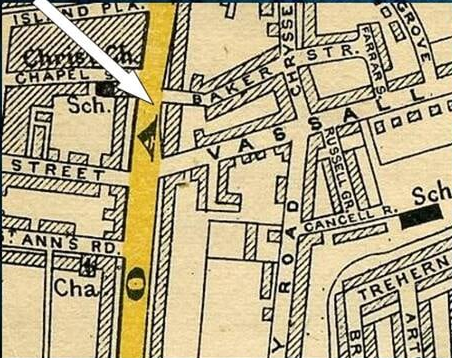 Now, it would be absurd to suggest that Arthur Charpentier followed Drebber through the rainy streets for two or three miles from some remote part of the parish of Camberwell, until he caught up with him in the Brixton Road. Clearly Gregson knew that Torquay Terrace and Lauriston Gardens were not very far apart. That’s because the postal district of Camberwell and the parish of Lambeth overlapped. 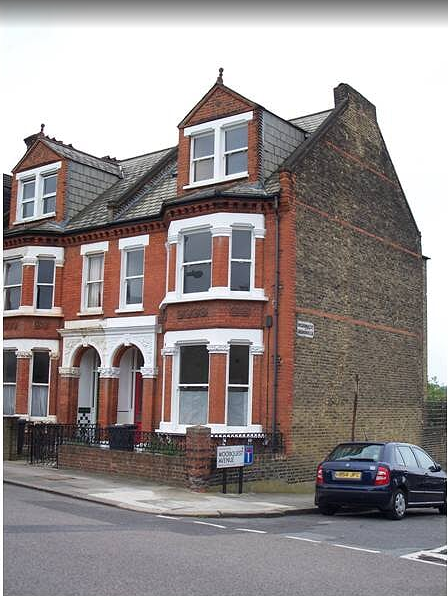 People living in that borderland paid their rates to Lambeth Vestry, but their address was not “Brixton, South West”. It was “Camberwell, South East”. And that is where we find, in Coldharbour Lane, just the other side of Loughborough Junction, Dover Terrace, which is an admirable match for Watson’s “Torquay Terrace”. So the first recorded adventure of Sherlock Holmes took place, mostly, within the old Parish of Lambeth. You may not be wholly surprised to know that much of the second one was also located in Lambeth. From the Lyceum Theatre, Holmes, Watson and their client, Mary Morstan, are taken in a four-wheeled cab through the foggy streets to an unknown destination. At first [says Watson] I had some idea as to the direction in which we were driving; but soon, what with our pace, the fog, and my own limited knowledge of London, I lost my bearings and knew nothing save that we seemed to be going a very long way. Sherlock Holmes was never at fault, however, and he muttered the names as the cab rattled through squares and in and out by tortuous by-streets. 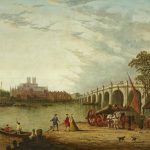 We did indeed get a fleeting view of a stretch of the Thames, with the lamps shining upon the broad, silent water; but our cab dashed on and was soon involved in a labyrinth of streets upon the other side. It is odd, as Bernard Davies notes, that Holmes should say “Robert Street”, because in 1880, at least seven years earlier, Robert Street had been merged with Park Street to form Robsart Street. We had indeed reached a questionable and forbidding neighbourhood. Long lines of dull brick houses were only relieved by the coarse glare and tawdry brilliancy of public-houses at the corner. Then came rows of two-storied villas, each with a fronting of miniature garden, and then again interminable lines of new, staring brick buildings — the monster tentacles which the giant city was throwing out into the country. At last the cab drew up at the third house in a new terrace. None of the other houses were inhabited, and that at which we stopped was as dark as its neighbours, save for a single glimmer in the kitchen-window. On our knocking, however, the door was instantly thrown open by a Hindoo servant, clad in a yellow turban, white loose-fitting clothes, and a yellow sash. There was something strangely incongruous in this Oriental figure framed in the commonplace doorway of a third-rate suburban dwelling-house. According to Bernard Davies’s researches, no. 13 Gubyon Avenue is the house that was temporarily occupied by the eccentric Thaddeus Sholto. 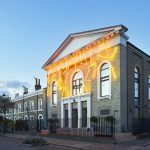 He takes his three visitors to meet his brother at their late father’s house in Norwood – not West Norwood, which was and is a part of Lambeth, but Upper Norwood. Inside, a gravel path wound through desolate grounds to a huge clump of a house, square and prosaic, all plunged in shadow save where a moonbeam struck one corner and glimmered in a garret window. The vast size of the building, with its gloom and its deathly silence, struck a chill to the heart. 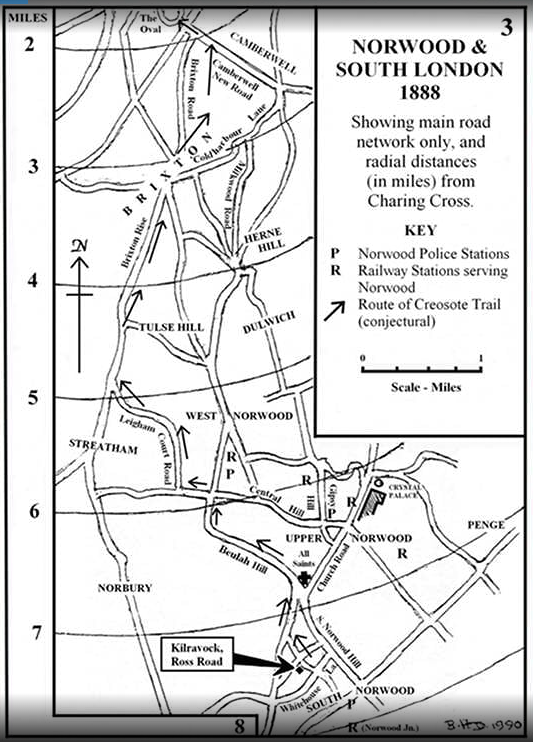 “Up until 1875 Ward’s Directory of Croydon had carefully defined the boundary between Upper and South Norwood as the line of Whitehorse Lane and Woodvale Road. 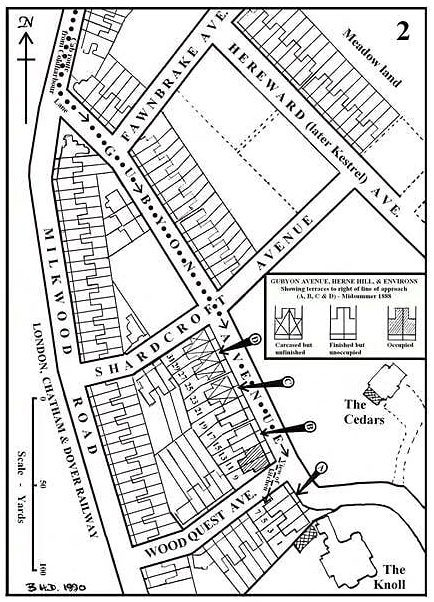 This was the traditional boundary between two hamlets of the ancient parish and placed Ross Road firmly in Upper Norwood. 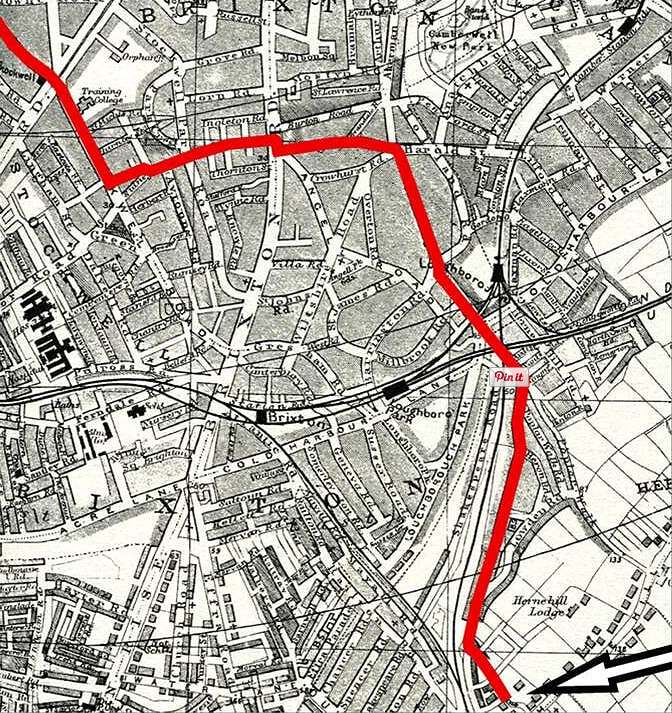 By the 1876 edition, however, this arrangement was completely altered, owing to the decision by the Post Office to move the boundary for deliveries from the South Norwood office practically to the top of the hill. “There must have been consternation among residents on the higher slopes who suddenly found themselves obliged to put ‘South Norwood’ on their letterheads. By comparison South Norwood was a declassé, nondescript area lacking in tone, which had grown up along the main road near the railway junction. Indignant letters must have been fired off to both the Directory publishers and the Post Office, and whatever they put on the top, it is doubtful if some of the more irate correspondents would ever have admitted to living in South Norwood. Broad Street, Lambeth. Is this “Pinchin Lane”? “His claim to our attention lies in the fact that, with the exception of brother Mycroft, he is the only person ever to refer to Holmes by his Christian name, albeit prefixed by the respectful ‘Mister’. ‘A friend of Mr Sherlock is always welcome,’ he exclaims, on being woken up. This sounds suspiciously like the type of address employed by a much older man in a long and familiar relationship with a very young one. We sense the ‘Master Sherlock’ of bygone days which, in due time, it replaced. Toby, of course, is the ideal tracker dog. 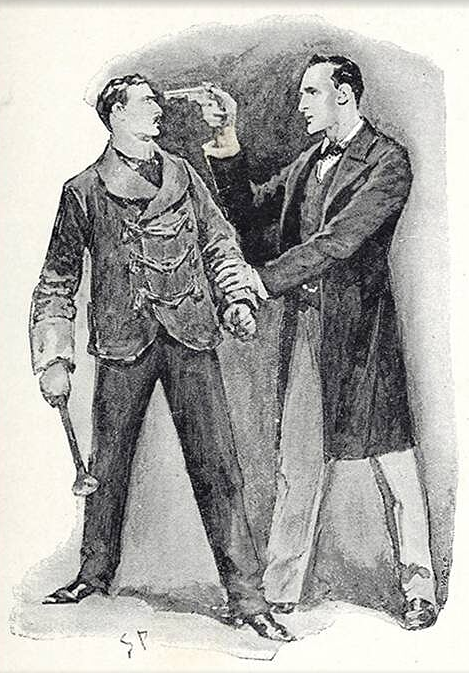 Led by him, Holmes and Watson follow the trail of the two intruders. We had traversed Streatham, Brixton, Camberwell, and now found ourselves in Kennington Lane, having borne away through the side streets to the east of the Oval. The men whom we pursued seemed to have taken a curiously zigzag road, with the idea probably of escaping observation. They had never kept to the main road if a parallel side street would serve their turn. At the foot of Kennington Lane they had edged away to the left through Bond Street and Miles Street. From the corner of Knight’s Place, our route tended down towards the riverside, running through Belmont Place and Prince’s Street. 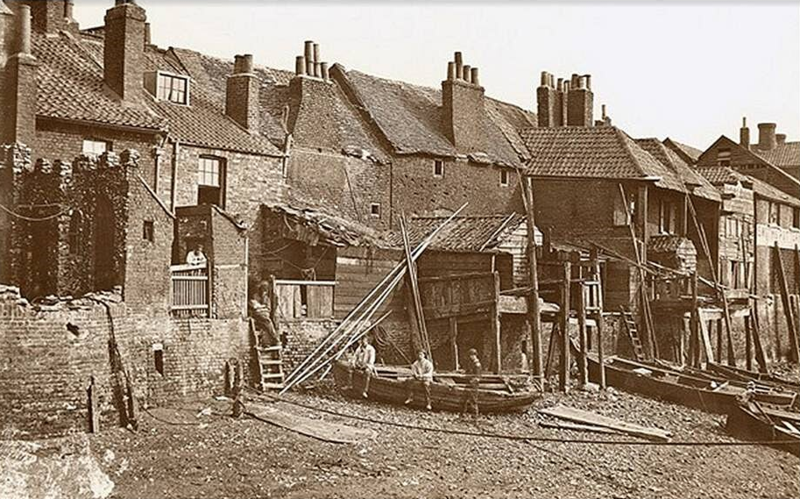 At the end of Broad Street it ran right down to the water’s edge, where there was a small wooden wharf. And that, as far as this case is concerned, is where we leave Lambeth. Holmes and Watson take a boat across the river to Millbank. We shall catch up with them again in Baker Street. The narrative of this curious little puzzle is set entirely in the sitting-room at 221B, but south London does feature. 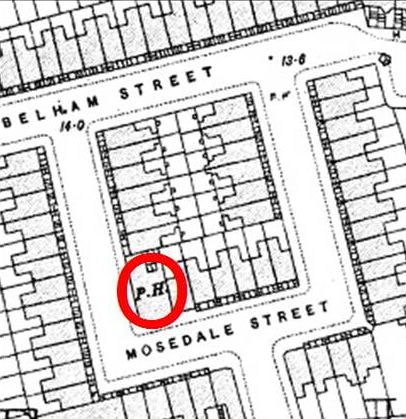 There is no Lyon Place in Camberwell, but the name suggests that Miss Sutherland might live in Mosedale Street, near the pub called The Lion. The fact that Mosedale Street is – or, rather, was – a square rather than a straight or winding street adds some weight to the theory. Alas, that whole area west of Vicarage Road, now Vicarage Grove, was replaced a while back by a big modern housing development. Yes, it would now be in Southwark, not Lambeth; this is one of our occasional forays into neighbouring territory. The Countess of Morcar’s famous jewel, the Blue Carbuncle, stolen from her suite at the Hotel Cosmopolitan, has been found – inside a Christmas goose. 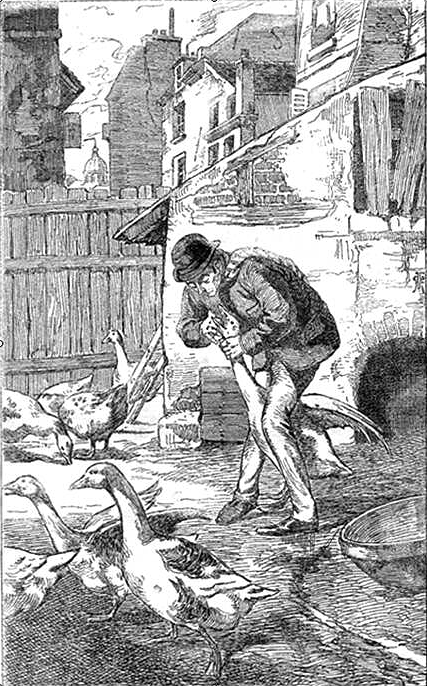 Holmes and Watson have traced the bird as far as the poultry dealer who sold it to the landlord of a public house near the British Museum – but he refuses to tell them who his supplier was. “Mrs. Oakshott, 117, Brixton Road — 249,” read Holmes. “When you see a man with whiskers of that cut and the ‘Pink ’un’ protruding out of his pocket, you can always draw him by a bet,” said he. 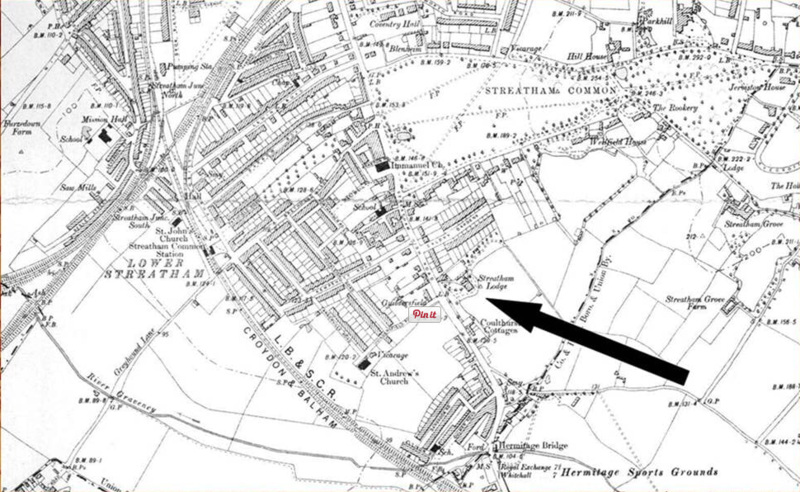 117 Brixton Road was and is a real address, the first house of thirteen in what was originally called Minerva Terrace – and at the time, as you may be able to see on this 1897 map, alongside it was … Baker Street! The terrace is still there, though Baker Street, Brixton is not. Holmes and Watson were famous travellers, and they are recorded as using eight of the historic London railway stations. Rather surprisingly, they go just once from King’s Cross and not at all from St Pancras, but we know that they used Waterloo at least four times. 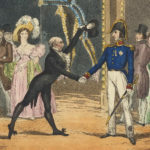 John Openshaw, in the case of the Five Orange Pips, took a train from Horsham to Waterloo, and it was at Waterloo that Sir Henry Baskerville arrived in London. The station developed in an unplanned way, each extension, each new set of platforms, being “temporary”, until the London & South-Western Railway finally decided on total reconstruction. 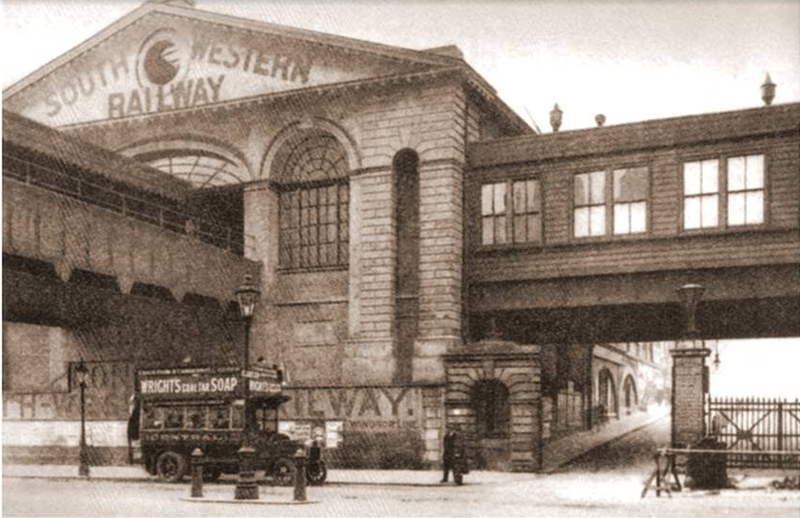 Building began in 1904 and Waterloo Station as we know it was completed in 1922, just in time to be handed over to the new Southern Railway. This photograph was taken, I think, in about 1912. This adventure begins with the arrival of a desperately troubled client. The name [says Watson] was indeed well known to us as belonging to the senior partner in the second largest private banking concern in the City of London. 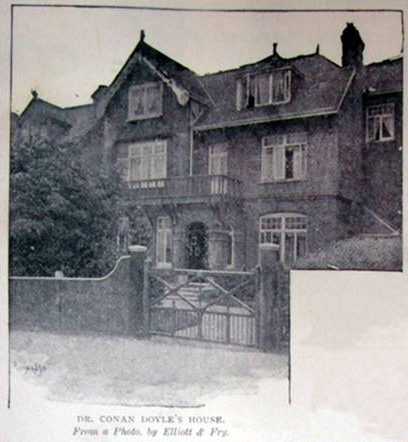 This particular story has been investigated by a prolific local historian, John W Brown, whose booklet Sherlock Holmes in Streatham is probably definitive. 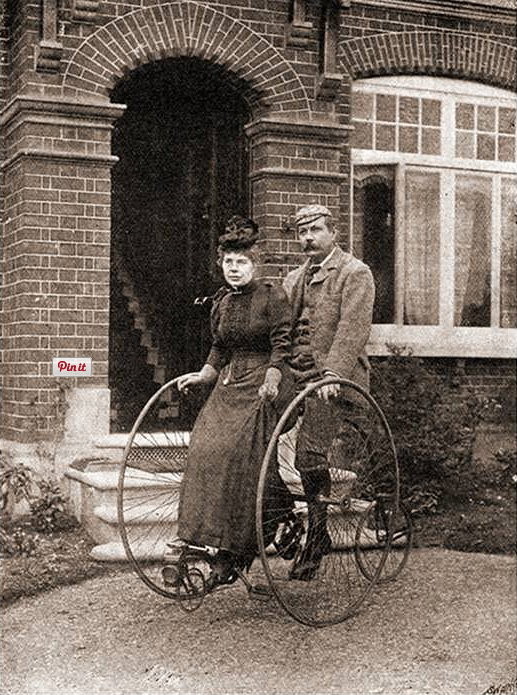 Arthur Conan Doyle and his wife used to venture out from their house in Norwood on their tandem tricycle, and Mr Brown very reasonably assumes that they came to be quite familiar with Streatham. … a good-sized square house of white stone, standing back a little from the road. A double carriage-sweep stretched down in front to two large iron gates. On the right side was a small wooden thicket, which led into a narrow path between two neat hedges stretching from the road to the kitchen door, and forming the tradesmen’s entrance. On the left ran a lane which led to the stables. 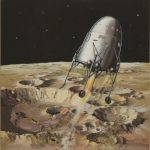 We also know that it was not very far from the station. But which station? There were three: Streatham, Streatham Hill and Streatham Common. Streatham Hill Station is convenient for Leigham Court Road, which was just the sort of area that a wealthy banker might choose. 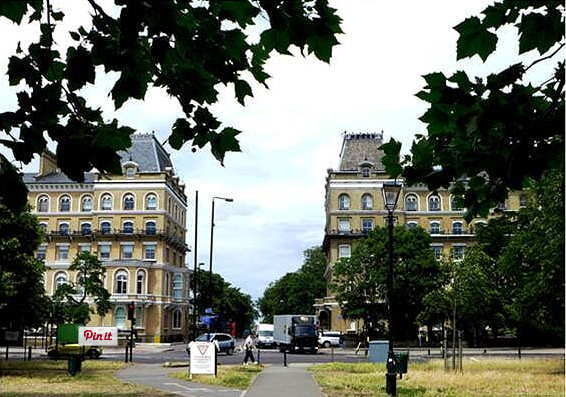 Former residents include Queen Victoria’s Solicitor, the Physician-in-Ordinary to Princess Beatrice, the publisher of the Church Times, the Master of Dulwich College, and two MPs. However, Mr Brown suggests that if Alexander Holder’s house was in the Streatham Hill area, then Dr Watson would have said so. His candidate for Fairbank is Streatham Lodge, just a short walk from both Streatham and Streatham Common stations. Sadly, the house was demolished around the turn of the turn of the century, and no photographs or drawings are known to exist. Streatham Lodge does not appear to have been a “modest residence” by today’s standards, but it was notably smaller than others in the area, such as Leigham Court House or Park Hill, so Watson’s description of it as a “modest residence” for a “great financier” may have been justified. 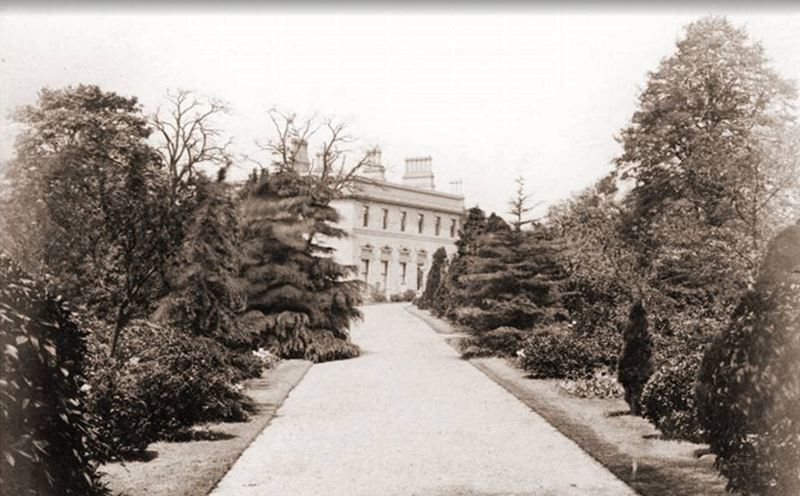 But Mr Brown’s trump card is the fact that Streatham Lodge was the residence of William Matthew Coulthurst, senior partner in Coutts & Co, one of the largest private banks in England, and bankers to Queen Victoria and many members of the Royal family. A fair match for the senior partner in the second largest private banking concern in the City of London. Mr Melas, the interpreter, is introduced to Sherlock Holmes and Dr Watson by the detective’s brother, Mycroft, who has rooms in the same house in Pall Mall. “In silence we again drove for an interminable distance with the windows raised, until at last, just after midnight, the carriage pulled up. “The carriage which had brought me was already out of sight. I stood gazing round and wondering where on earth I might be, when I saw someone coming towards me in the darkness. As he came up to me I made out that he was a railway porter. Wandsworth Common was then, of course, in the parish of Wandsworth, and Clapham Junction was within the parish of Battersea. Both are now in the London Borough of Wandsworth, though Clapham, or most of it, is in Lambeth. The misleading name of the railway station was chosen because Clapham itself, which is about a mile away, was more fashionable than Battersea. This is the sort of game that estate agents enjoy playing. Mycroft Holmes actually takes an active role in this case, to the extent that he places an advertisement in the newspapers – and a little later he is able to tell his brother that he has received a response – from Lower Brixton. 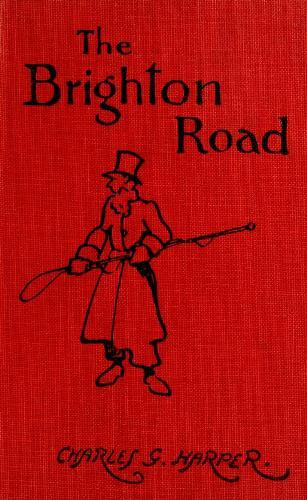 I have read and re-read the relevant pages, and I cannot decide whether by “the Lower Brixton Road” Charles Harper means the lower-lying stretch north of the Bon Marché or the more elevated southern section comprising Brixton Rise and Brixton Hill. The treaty in question is stolen from the office where Watson’s old school-fellow Percy Phelps has been working on it. The obvious – and, of course, wrong – suspect is the charwoman, Mrs Tangey, whose husband is a commissionaire at the Foreign Office. They live at no. 16, Ivy Lane, Brixton. From our point of view, “The Norwood Builder” is a really frustrating case. 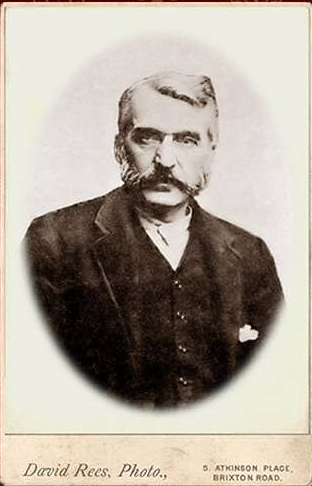 The builder, Jonas Oldacre, is said to live in Lower Norwood – now called West Norwood – which is firmly within the London Borough of Lambeth, but his house is “at the Sydenham end of the road of that name”, and that, by my reckoning, puts him in Lower Sydenham, which is in the London Borough of Lewisham. The other places that feature are Anerley in the London Borough of Bromley, and Blackheath, which is partly in Lewisham and partly in Greenwich. “Black Peter” is another story of only marginal interest. Captain Peter Carey is murdered at his home near Forest Row in Sussex, and apart from that the drama is played out at 221B Baker Street. But we learn that Inspector Stanley Hopkins of Scotland Yard lives at no. 46 Lord Street, Brixton. There is no Lord Street in Brixton. “The first case reported was four days ago,” said he. It was at the shop of Morse Hudson, who has a place for the sale of pictures and statues in the Kennington Road. 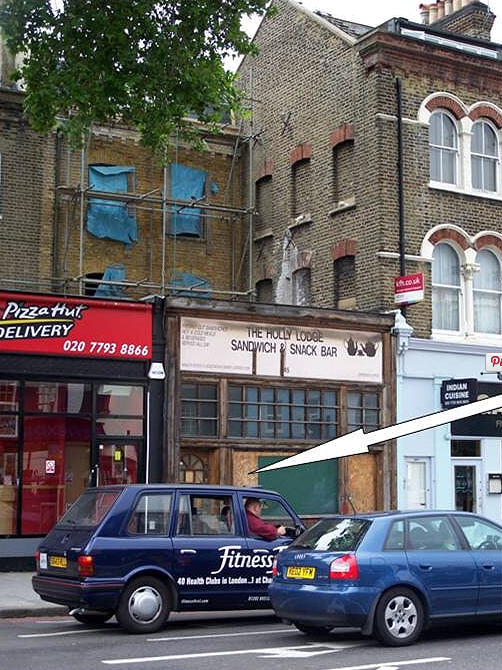 No 310-312 Kennington Road, former premises of Morse Hudson’s shop. Identified by Bernard Davies. Photographed in 2007. “In Kennington Road, and within a few hundred yards of Morse Hudson’s shop, there lives a well-known medical practitioner, named Dr. Barnicot, who has one of the largest practices upon the south side of the Thames. Holmes rubbed his hands. “This is certainly very novel,” said he. And if you want to find out who the criminal or lunatic was, and what was the method in his madness, then read the story. Lady Frances had stayed at the Englischer Hof for a fortnight. While there she had made the acquaintance of a Dr. Shlessinger and his wife, a missionary from South America. Like most lonely ladies, Lady Frances found her comfort and occupation in religion. Dr. Shlessinger’s remarkable personality, his wholehearted devotion, and the fact that he was recovering from a disease contracted in the exercise of his apostolic duties affected her deeply. She had helped Mrs. Shlessinger in the nursing of the convalescent saint. He spent his day, as the manager described it to me, upon a lounge-chair on the veranda, with an attendant lady upon either side of him. Finally, having improved much in health, he and his wife had returned to London, and Lady Frances had started thither in their company. This was just three weeks before, and the manager had heard nothing since. My companion started. “Well?” he asked. “She was talking to the woman behind the counter. I entered as well. ‘It is late,’ I heard her say. The woman was excusing herself. ‘It took longer, being out of the ordinary.’ They both stopped and looked at me, so I asked some question and then left the shop. There was then, I think, only one residential square in Brixton: Trinity Square, now called Trinity Gardens. 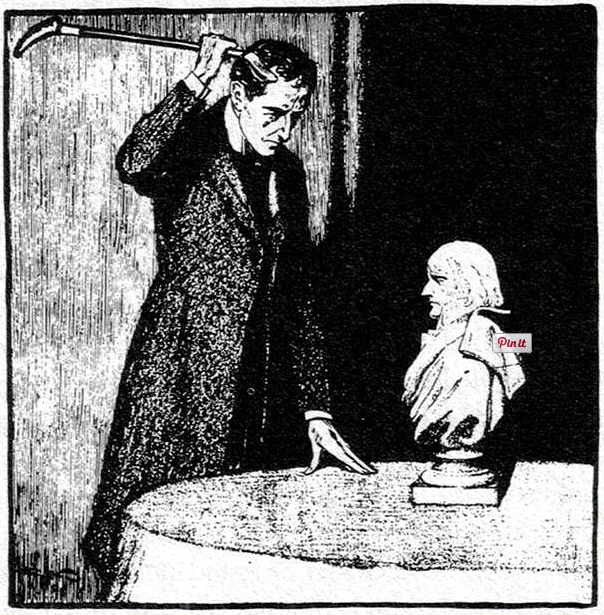 True, Watson later describes no. 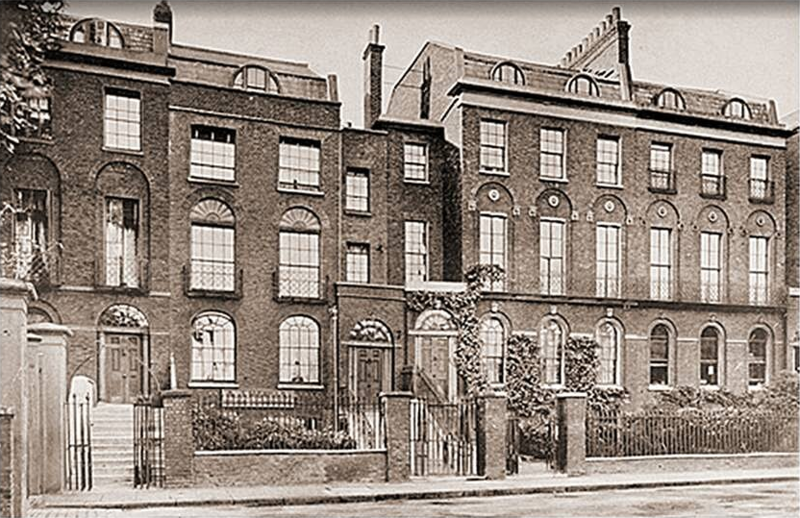 36 as “…a great dark house in the centre of Poultney Square”, and there have never been any buildings in the middle of Trinity Gardens, but I am not aware of any London square that surrounds a single residential building. John Weber, whose researches have proved invaluable in this case, identifies the house as one of the two in the centre of the north side. It’s that conversation at the undertakers’, of course, that takes Holmes and Watson to Poultney Square. Arriving in time to see the unusual coffin delivered, they enter the house and insist on seeing the body inside it. To their surprise and relief it is not that of the still beautiful Lady Frances. Instead it’s the withered, emaciated figure of a very old woman. There was no workhouse in Brixton. The nearest were in Camberwell and Lambeth, and the latter did have an infirmary. 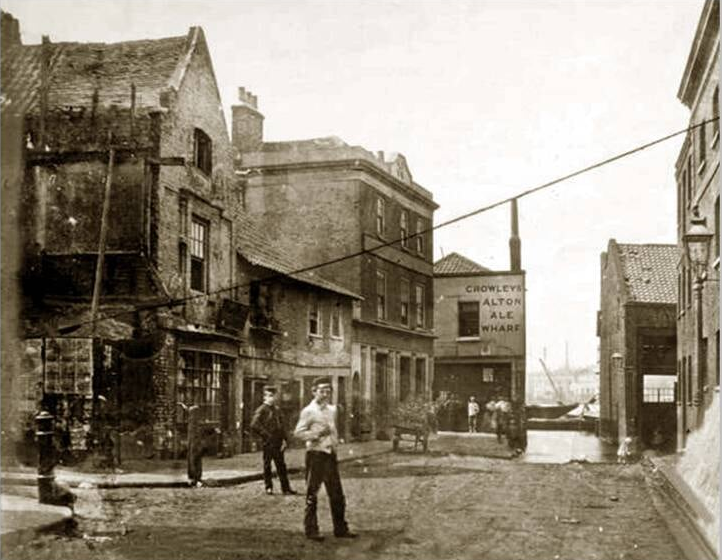 However, John Weber suggests that the unfortunate Rose Spender had actually been living at the Trinity Asylum for Aged Persons, conveniently situated in Acre Lane, just a stone’s throw from Trinity Square – which was in fact named after it. I am not, I confess, convinced. 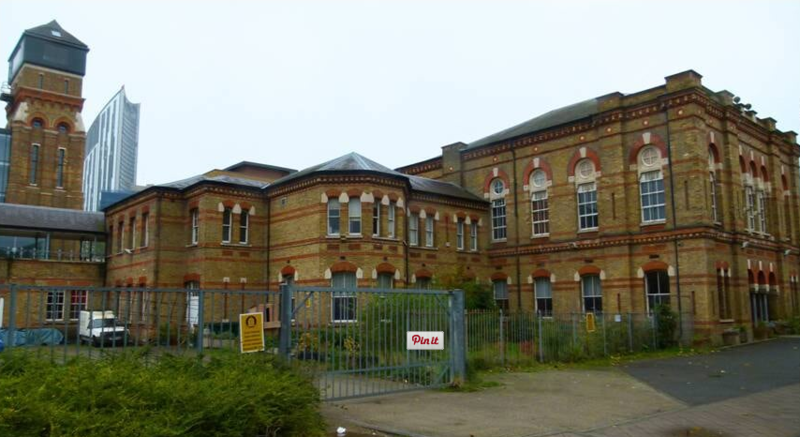 The Asylum – which is still there, and is now understandably called Trinity Homes – was founded and endowed in 1824 by Thomas Bayley for “twelve poor women who professed belief in the Holy Trinity”. In other words it was and is an almshouse, and that is something very different from a workhouse. 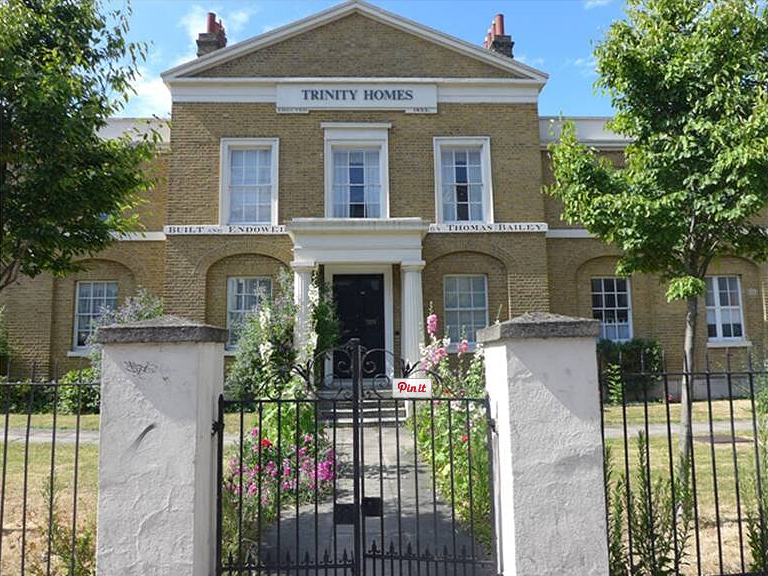 Trinity Homes still, apparently, provides, as it has done for nearly 200 years, separate dwellings for elderly women. But I am sure that Rose Spender was taken from the Lambeth Workhouse infirmary when she was already within days of dying, and she may well have been helped on her way to the grave. Many of the workhouse buildings are still standing, and the Master’s House, rather wonderfully, is now home to the Cinema Museum. Actually, with apologies to Mr Weber, we are not told that Dr Horsom was attached to the workhouse. What we are told is that Peters and his wife called him in to examine the old woman once they had brought her to their own house. He may have been a confederate of theirs, or a dupe. 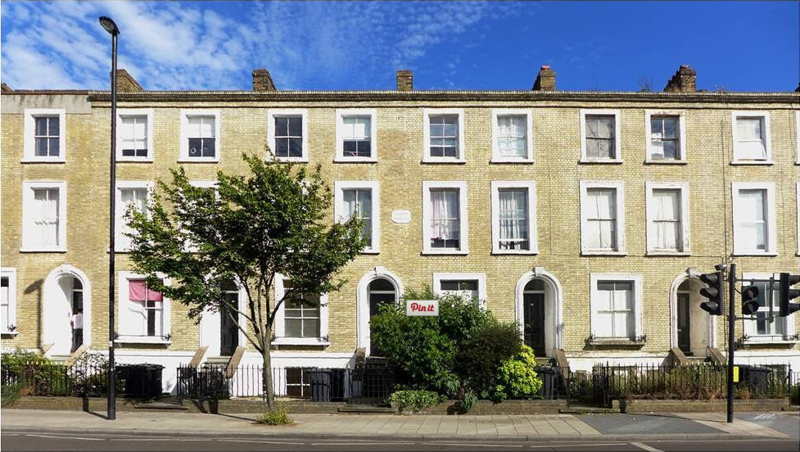 In any case, Firbank Road is only about two and a half miles from Trinity Square. I see no reason to rule it out. Finally for this case, Bernard Davies identified no. 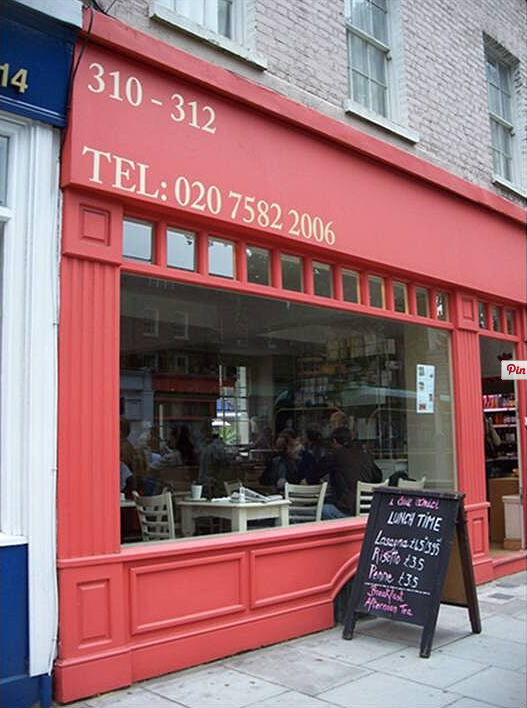 345 Kennington Road as the site of the undertaker’s. The premises in Kennington Road formerly occupied by Stimson & Co., undertakers. 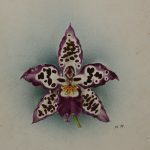 Identified by Bernard Davies . Photographed in 2007. It was boarded up when I took the photograph in 2007, and it was boarded up when I passed by a year or so ago. One forenoon — it was late in 1896 — I received a hurried note from Holmes asking for my attendance. When I arrived I found him seated in a smoke-laden atmosphere, with an elderly, motherly woman of the buxom landlady type in the corresponding chair in front of him. 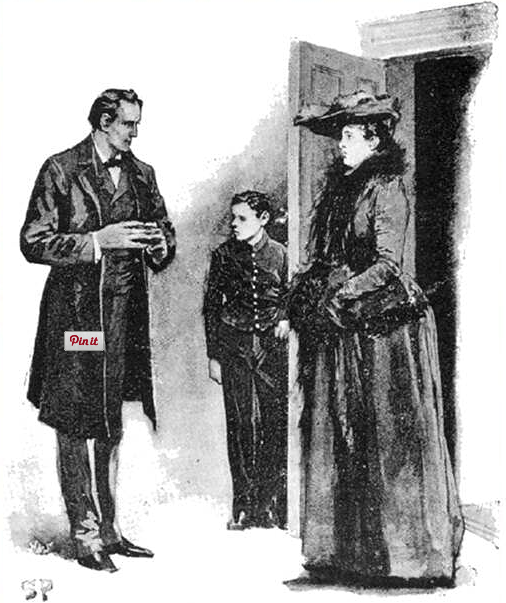 Having heard her story and discussed it, Holmes and Watson set out for Brixton. Not exactly scholarship, but interesting! So, that’s all there is to say about Sherlock Holmes and Lambeth. Isn’t it? Sherlock Holmes was the master detective. 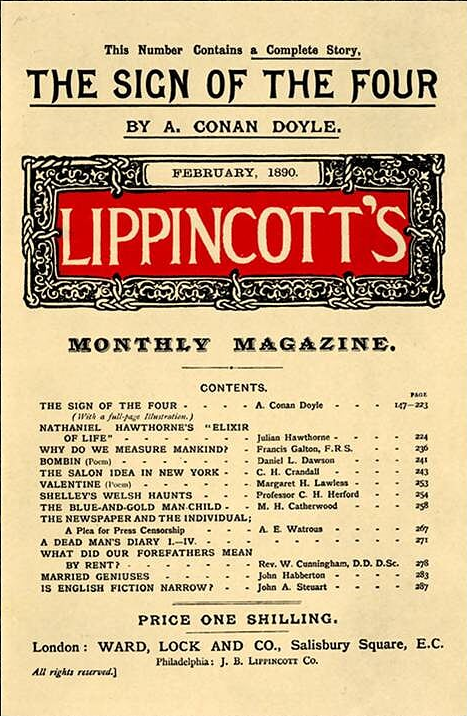 So when, in 1892, Arthur Conan Doyle decided to kill off his creation – because, as he wrote to his mother, “He takes my mind from better things” – he created a master criminal to be the agent of death: ex-Professor James Moriarty, whom Holmes calls “the Napoleon of crime”. And there was Adam Worth. Worth, alias Henry Raymond, was born in Germany, grew up in America, and served in the Union Army during the Civil War. He was recovering from wounds sustained at the second Battle of Bull Run when he learned that he was officially listed as killed in action. He left the hospital and embarked on a curious and wide-ranging criminal career. 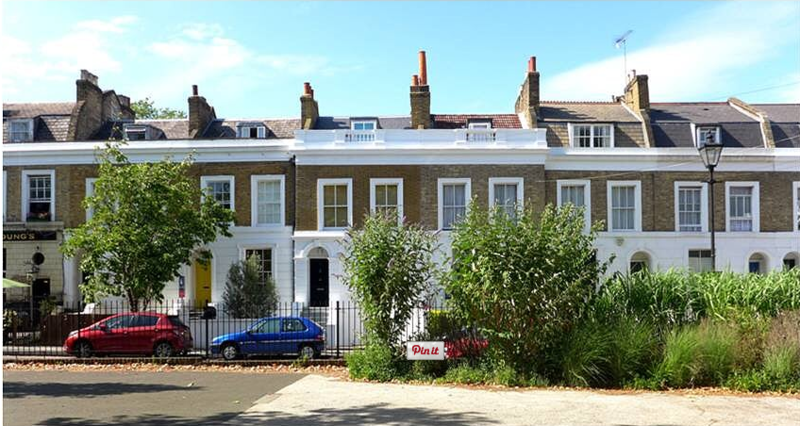 In 1873 he moved to England, where he expanded his organisation, and two years later he bought a rather nice house overlooking Clapham Common. Today Western Lodge is in that sliver of Clapham that’s within the London Borough of Wandsworth, but only by a matter of yards. (Sherlock Holmes famously said that there is nothing so important as trifles, but in this case, I think, the old legal maxim applies: De minimis non curat lex.) It was while he was living here that Worth stole Gainsborough’s portrait of Georgiana, Duchess of Devonshire from Agnew’s of Bond Street. (He later sold it back to Agnew’s.) He died in 1902 and was buried in a mass grave at Highgate Cemetery. In 1997 a gravestone was erected by the Jewish-American Society for Historic Preservation. The epitaph reads: Adam Worth, a.k.a. 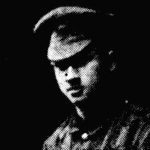 Henry J Raymond – “The Napoleon of Crime”. 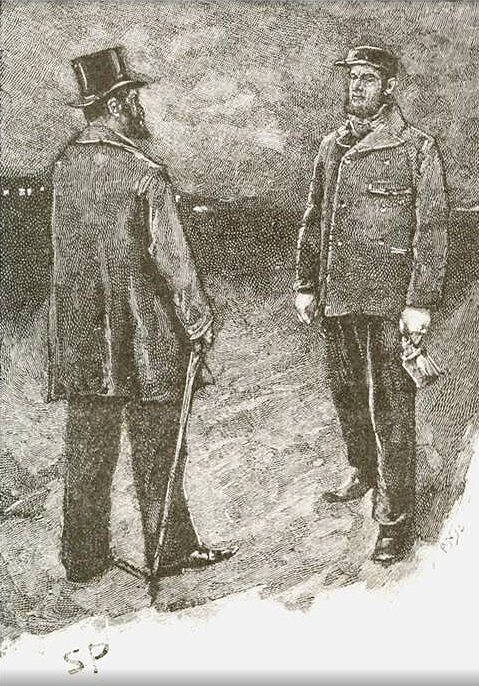 It was Sir Robert Anderson, head of the CID at Scotland from 1888 to 1901, who gave him that title – or, to be exact, he called Worth “the Napoleon of the criminal world”. But he did so in 1907, fifteen years after Professor Moriarty was created as the nemesis of Sherlock Holmes. And there are other Holmesian connections. 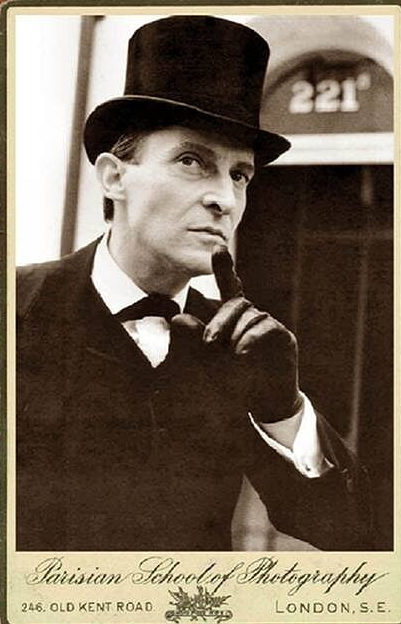 Jeremy Brett played the detective on television for ten years and on stage for a year. It’s no exaggeration to say that, for the last quarter of the 20th century and the first decade of the 21st, he was the Sherlock Holmes. His last home was a penthouse flat at no. 47 Clapham Common North Side, one of two very handsome apartment blocks, built in the French style of the Second Empire, on either side of Cedars Road, and originally known as The Cedars. Friends who visited the flat report that the view south over the Common is glorious. The boundary between The London Boroughs of Lambeth and Wandsworth runs north along Wix’s Lane, just to the west of Cedars Road and parallel with it. And that, of course, means that Sherlock Holmes – or rather, the actor identified with him – actually lived in Lambeth, by a matter of a hundred yards or so. Finally, another even more famous name. Charlie Chaplin, understandably, merits no fewer than three commemorative plaques in south London, two of them in Kennington – which is to say, in Lambeth. But what has the great star of silent comedy to do with the great detective? 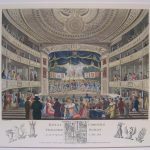 After the hugely successful London run of his play Sherlock Holmes at the Lyceum Theatre, the actor and dramatist William Gillette returned to America, while two companies toured Britain with the play. 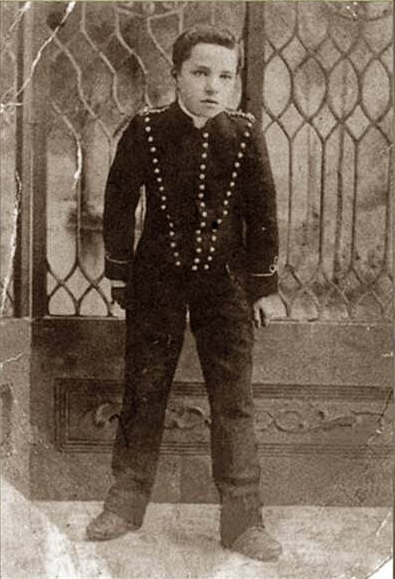 They were led by Julian Royce and H A Saintsbury, and it was Saintsbury who cast the eleven-year-old Charles Chaplin in the important role of Billy the page boy. In 1905 Gillette came back to London with a new play, Clarice, and a short curtain-raiser called The Painful Predicament of Sherlock Holmes, in which he again cast young Chaplin as Billy. 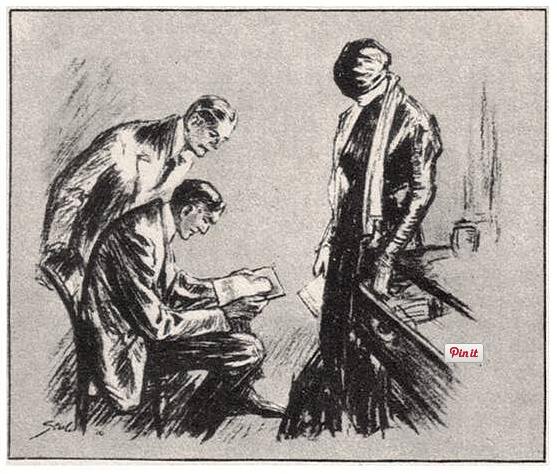 Clarice was not the success that he had hoped for, so, for the remaining six weeks of his lease on the Duke of York’s Theatre, audiences were treated to a revival of Sherlock Holmes, with William Gillette in the role that he had written for himself, and Charles Chaplin as Billy the page. And that, ladies and gentlemen, really is that. Thank you for accompanying Sherlock Holmes, Dr Watson and me on our Lambeth Walk!